College student Jason Moss (Jesse Moss) is fascinated by serial killers, and for his term paper decides to attempt striking up a correspondence with convicted murderer John Wayne Gacy (William Forsythe). By posing as an ideal victim for Gacy, Jason hopes to elicit some insight into the mind of a killer – but the longer the correspondence goes on, the stronger the effect it has on Jason himself. 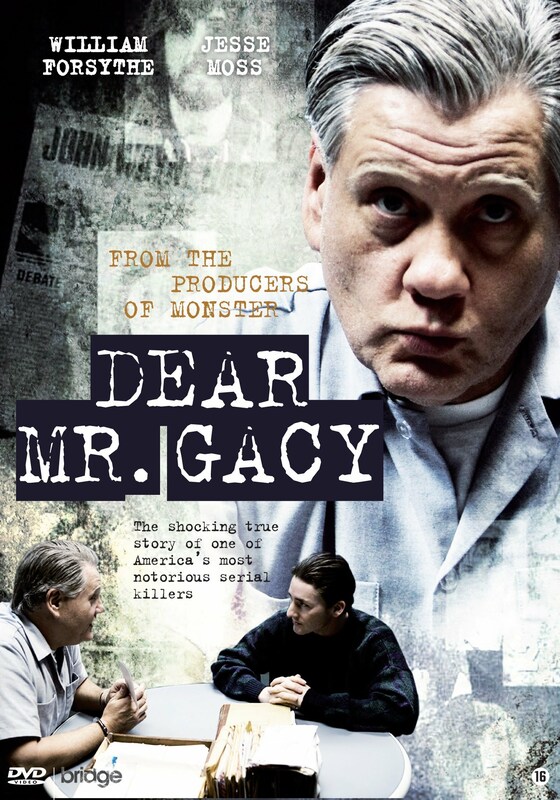 Dear Mr Gacy is a 2010 made-for-television film directed by Svetozar Ristovski. It is based, at least in part, on a true story. Moss did indeed communicate with Gacy, in a relationship that progressed from letters to telephone calls and ultimately to a hugely ill-considered face-to-face meeting shortly before Gacy’s execution. Moss and his college professor Jeffrey Kottler wrote Moss’ experience into a successful memoir titled The Last Victim. It is a fascinating and troubling book, and well worth hunting down and checking out. Sadly this film adaptation does neither the memoir nor Moss himself much justice. It is a fairly tawdry exercise in sensationalism. The real-life intellectual horror of the book was clearly insufficient for the production team, and so every additional stereotype and eye-rolling cliche of the serial killer genre is pulled out to amp up the action and make it a more melodramatic and over-the-top experience. To do this involves completely changing the real-life events that inspired the film. The actual Jason Moss didn’t contact one serial killer but about six, including Richard Ramirez, Henry Lee Lucas and Jeffrey Dahmer. The film Moss is so trapped inside Gacy’s mind-set that he begins stalking classmates and assaults a prostitute. There is also a luridly unpleasant scene of straight-up gay panic that reflects poorly on everyone involved in making it. It is all a terrible shame, because the intellectual horror of meeting Gacy would have been more than sufficient to form a powerful and disturbing drama. William Forsythe is excellent in the role, and one can only imagine how much better he would have gone with a a stronger screenplay. Jesse Moss is relatively solid as Jason, but it is difficult to tell – not having seen his other work – whether he is a mediocre actor or a good one forced to act out terribly overheated and underworked material. Technically the film is precisely what one would expect from a movie-of-the-week: unadventurous photography, a typical string-based musical score, and an awful lot of letters read out to the audience in voiceover. The greatest shame is that Moss undertook his college project because he wanted to dig under the surface and find the real motivations and psychology of a serial killer. The film adaptation of his story simply wants to indulge in the same-old populist trash: representing such killers as Hollywood boogeymen. It is crass, cheap, and a failed attempt at manipulating its audience, and in doing so the truth is crudely thrown under a bus in the name of easy thrills. The book is definitely worth a look, if you are fascinated by the phenomenon. Sadly the film is best avoided.